Hosted, filmed and posted the video for nearly a dozen candidate forums, including the first Democratic Primary Governors forum series in the state in 2013 and 2014. Continue working for a city and a neighborhood that is welcoming and eager to accept people of all ethnicities, from all corners of the Globe, and of any sexual persuasion. 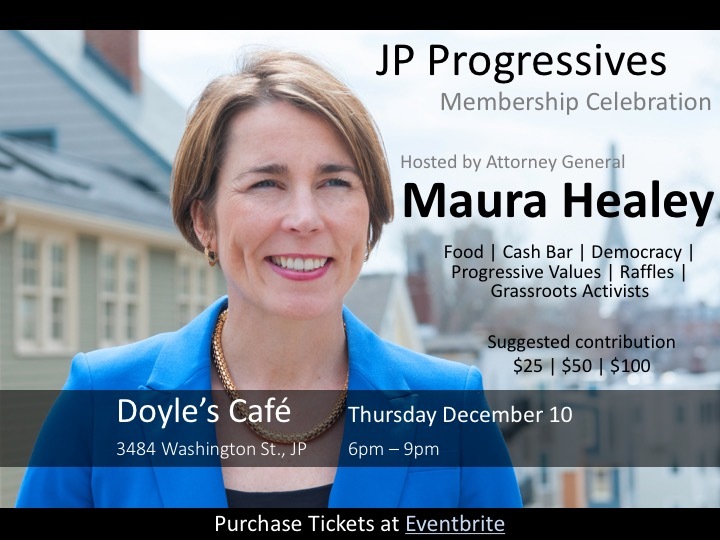 We hope you will join our celebration, and help us continue to build towards a progressive future for JP, Boston and Massachusetts.